Raquel Mills Signs With McHenry County College! Congratulations to Heat Elite Player Raquel Mills(aka Rocky), Dekalb High for signing with McHenry County College yesterday in front of Coaches, Friends, Family, and Media! 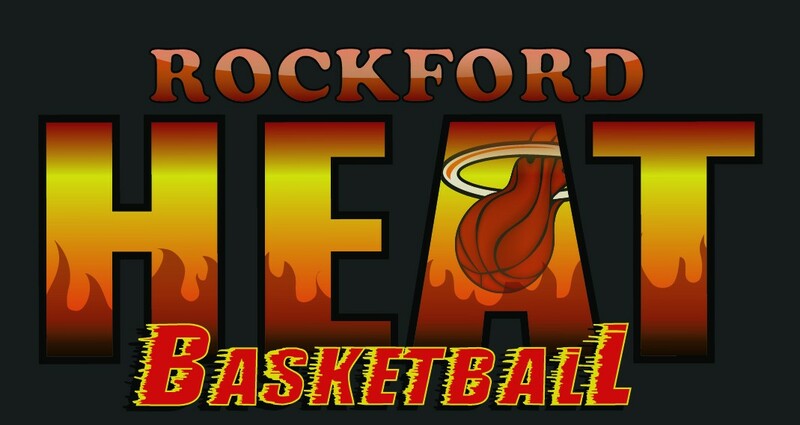 Rocky is a very gifted athlete that can get to the rim or knock down the 3 ball! Rocky racked up several accolades this past summer on the AAU circuit with All Star Selections, Rocky plans to study Athletic Training/Kinesiology while playing basketball! 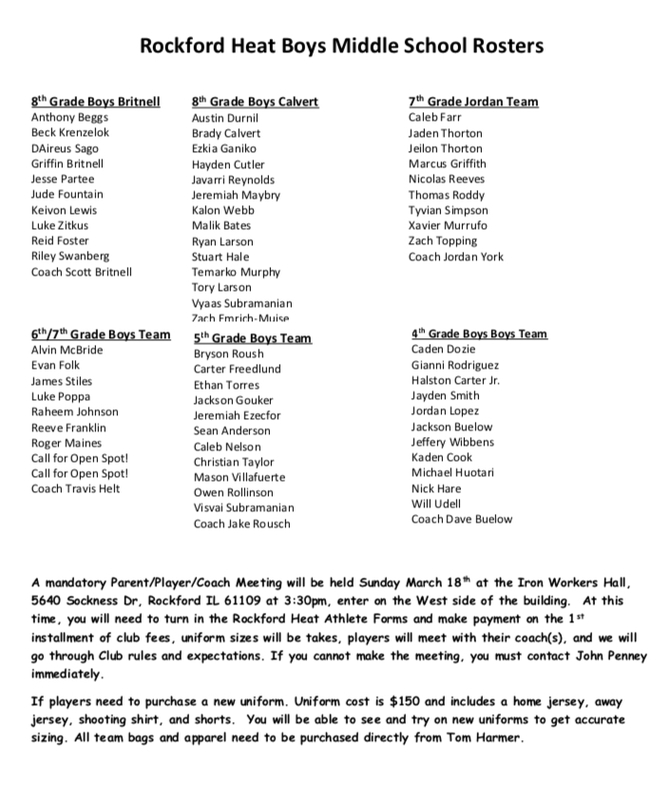 You have shown through your skill and dedication that you are ready for the next level! 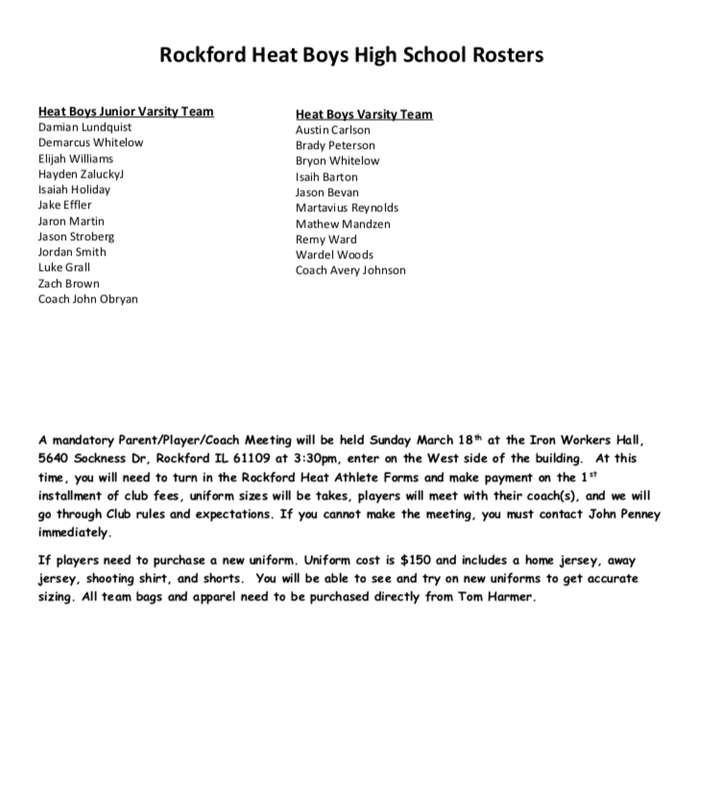 Heat High School Rosters POSTED! 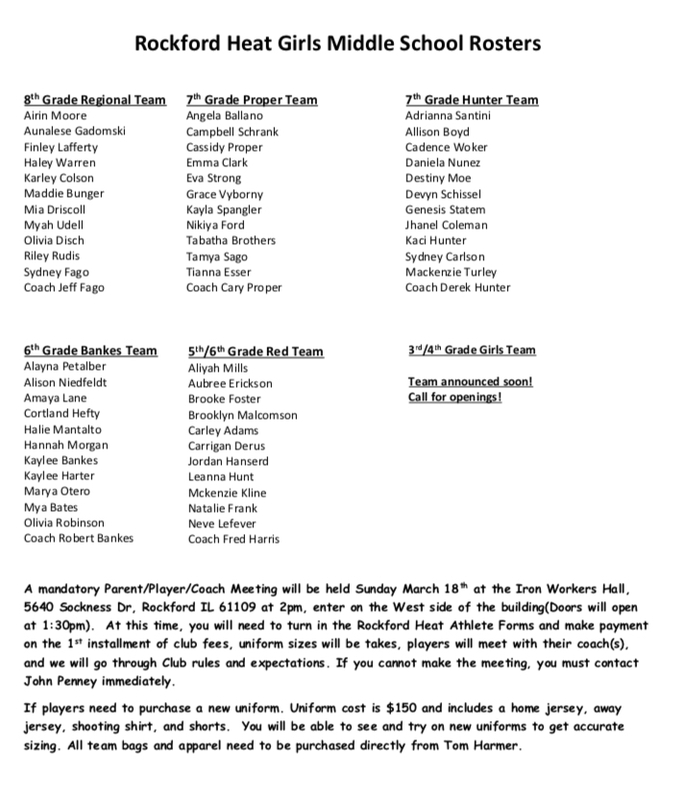 Middle School Girl Rosters POSTED!! 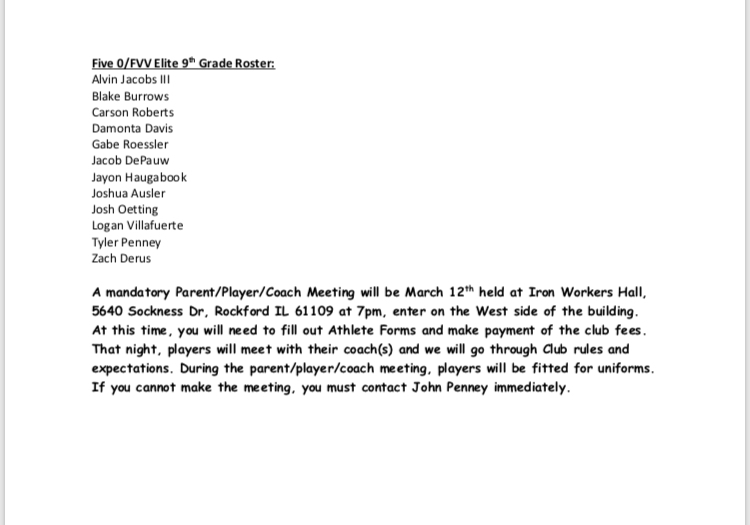 Five 0/FVV Elite 9th Grade Summer Roster POSTED! 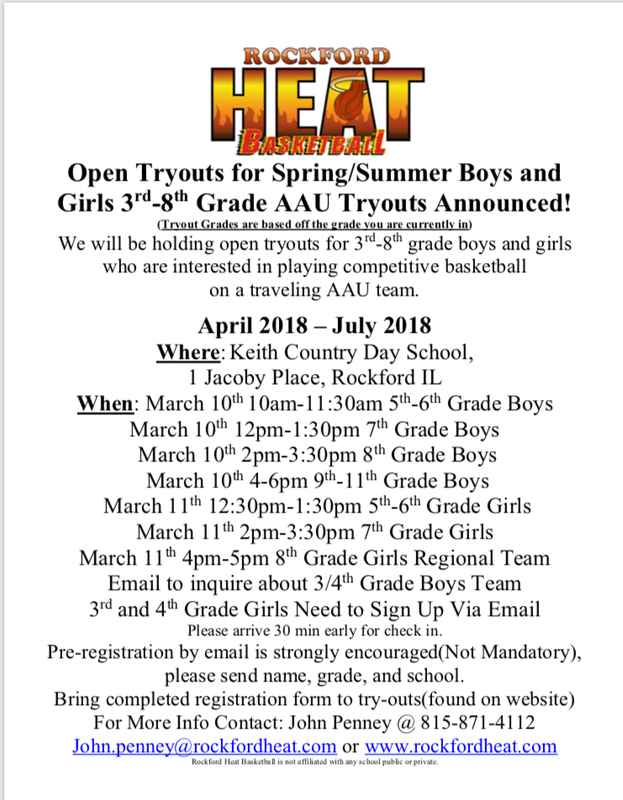 Heat 3rd-8th Boys and Girls Summer Tryouts Announced!